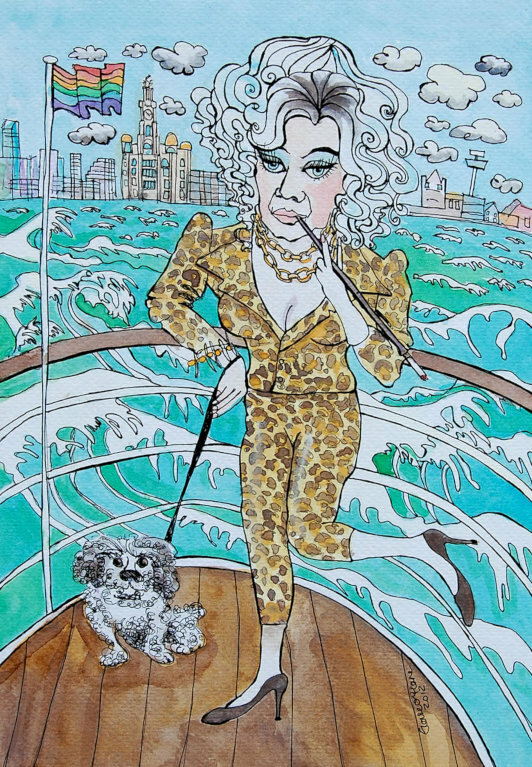 A painting of Lily Savage and her dog Buster. The painting measures 25 x 35cm (excluding the mount and frame). With the mount and frame the painting measures 47 x 57cm. The picture has a brown frame. If you'd like another frame, please leave a note in the checkout and I'll let you know what other frames I got available.